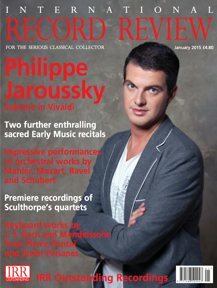 Most musicians have deep­seated ideas about how a programme should be put together. Some describe it as concocting an auditory banquet to delight the ear. Others simply call it an exercise of programming philosophy. 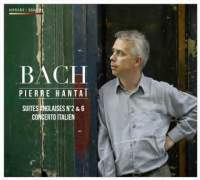 But however one chooses to describe arranging individual pieces for maximum effect and enjoyment, Pierre Hantaï's Bach recital, recorded by Mirare in January and April 2014, stands as a particularly intelligent model. Two chorale preludes on the text 'Whoever, lets only the Dear God reign' from the Kirnberger collection raise (BWV691) and lower (BWV690) the curtain on the first act, represented by the Second English Suite in A minor. The Suite is further prefaced by the 19 chords constituting the fantasia of the Fantasia and Fugue, BWV94‑4, here elaborated by Hantaï into an unmeasured prelude of true eloquence. It is the perfect introduction for the Suite's opening 'Prelude', which unfolds with all the bold gestures and rich textures of a concerto grosso. Arriving at the subsequent 'Allemande', its translucent simplicity all the more dramatic following the concluding orchestral tutti of the 'Prelude', Hantï's method becomes obvious. He conceives the dances as distinctly as the characters in a play, whose modes of declamation ‑ the robust certainty of the 'Courante', say, or the dignified reserve of the 'Sarabande' ‑ seem as fascinating as the content of their speeches. No dance could be confused with another, and as soon as one is finished, you eagerly await the next, only to be delightfully surprised by its singular character. I'm not sure I've ever encountered a Baroque suite performed with such confident mastery, vivid drama and attention to the finest detail. The same could be said for the Sixth English Suite, which stands as, the programme's Act 3. Less extrovert and significantly longer than the Second, though presented without bracketing chorales, the D minor Suite is equally abundant in solo/ripieno contrasts. This fundamentally serious progression of dances, some tragically tinged, is no less varied than the Second Suite, yet its prevailing subtlety is occasionally disrupted by startlingly angular contours and unsettling chromaticism. The intermezzo between these eventful acts is the perennial Italian Concerto, flanked by two happy chorale preludes, Jesus, ground of my confidence, from the Anna Magdalena Notebook (BWV728) and another from the Kirnberger collection, Blessed Jesus at Thy Word [we are gathered to hear Thee], (BWV706). But if 'intermezzo' suggests a lighter, more relaxed tone, then this group is a vigorous Act 2, bright with Italian sunshine. Everyone who has sat down to play the Italian Concerto has surely tried, to the extent possible, to orchestrate at the keyboard. Very few will have done so with the aplomb and acumen of Hantï. The shifting play of light and shade, not to mention the deft application of the most striking colours, is everywhere apparent. These obvious qualities are conveyed to the ear by means of immensely refined articulation and an inerrant sense of the perfect tempo. The first movement combines a strutting pomposity with ardent graciousness. The athletic 'Presto', without any undue rush, seems about to burst with joy. How is it that a choice as obvious as engaging the peau de bouffle stop for the accompaniment of the 'Andante' here seems so fresh, satisfying and poignant? In this instance, as in so many throughout this recording, I am hard‑pressed to describe exactly how Hantaï does what he does, but no less grateful to him for it. Hantaï seems to be one of those artists whose burgeoning growth is unstoppable. He is not the same player I first came to know 20 years ago. Maturity has brought greater flexibility, sharpened nuance and a willingness to exhibit the full extent of a deeply humane sensibility. His background is no less fascinating than his development. His parents came West from Hungary in the wake of the second World War, establishing themselves in France, where his late father became that rarity, a European painter equally acclaimed and respected on both sides of the Atlantic. Two of Pierre's siblings, Marc and Jérôme, are also fine musicians.